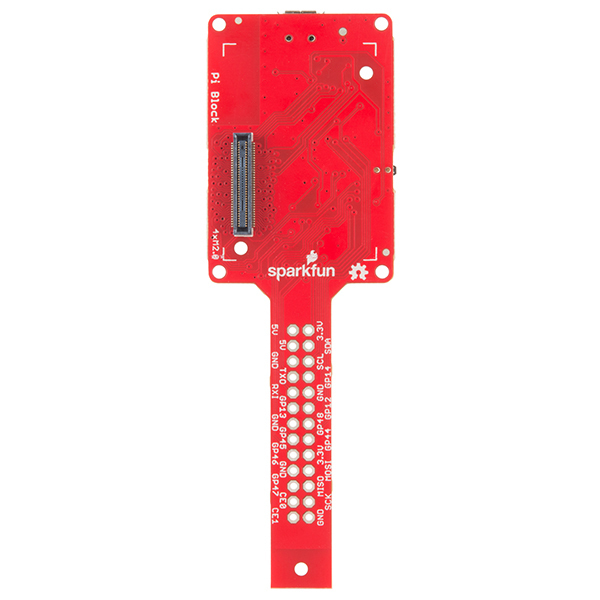 Since the Edison offers a large number of GPIO and communication bus pins, these pins can be mapped to the exact same footprint as the Raspberry Pi B’s GPIO header. The Pi Block lets you use your existing Raspberry Pi B peripherals and expansion boards with your Edison while still providing level-shifted access to basic GPIO, PWM, UART, I2C, and SPI communication! This block combines the functionality of the GPIO Block and I2C Block with additional features to streamline development.